← Toast Box Kaya Toast CON! Ya Kun Kaya Toast Scam! ANOTHER SCAM! 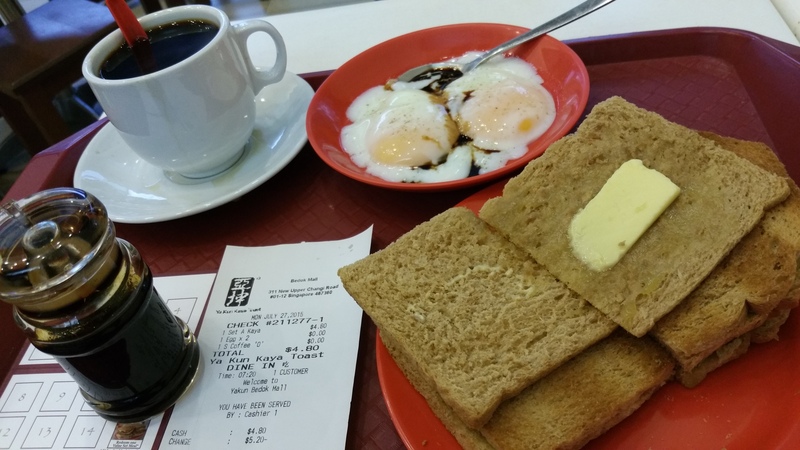 Very little Kaya Jam (Egg Jam) and a small rectangle of butter..smaller than the “butter” at Toast Box! It was haphazardly placed and not cunningly placed like at Toast Box to mislead you the diner. The amount of Kaya was very little and the thickness of the bread was only 3mm thin! Only dribs and drabs of Kaya Jam despite the name of this establishment…The coffee was not too bad. I scoffed up the two eggs with a dash of Soy Sauce and some sprinkles of pepper. The liquid yolks exploded in my mouth…my palate was almost overwhelmed by their gooey rich flavours. It was satisfying. I must mention that here if yooou want ice cubes or even water…it is chargeable. I think this is very bad! If you want tissues to wipe your hands and mouth…yes, you guessed it. It is also chargeable at 30 cents a packet! No free paper serviettes like at MacDonald’s and Burger King and KFC! Well, I reiterate…if you want a really good Kaya Toast you have to DIY – Do It Yourself! The Sting is a classic movie about Con Artists…the themes song is by Scott Joplin. This entry was posted in Commercialism & Hypocrisy, Food and drink, Greed & Avarice, Let them eat Cake..., Materialismus, Nobody's perfect... and tagged Ya Kun Kaya Toast. Bookmark the permalink. 2 Responses to Ya Kun Kaya Toast Scam!